Cynthia (“Cyndi”) Devers joined The Wolk Law Firm in 2008. Since then, she has been involved in every aspect of complex aviation products liability litigation, including investigation, trial, and appeals. In 2011, Cyndi was part of the legal team that obtained an $11,000,000 verdict for an engine failure accident after a two-week trial in Philadelphia. Cyndi oversees complex aircraft accidents, such as the crash of a Hawker 800 jet in Owatonna, Minnesota, the icing induced crash of a Cessna Caravan in Alliance, Nebraska, helicopter loss of control incidents, and many crashes involving ignition and fuel delivery system failures. 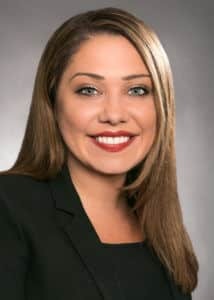 She has tackled complex legal issues such as subject matter jurisdiction of the federal courts, personal jurisdiction, and aviation victims’ rights under the General Aviation Revitalization Act. Cyndi has been recognized as an Outstanding Young Lawyer 2013-2015 (OYL) by Philadelphia Magazine. The OYL award is given to young lawyers with ten or fewer years of experience who have received recognition within the legal profession for their impressive record of professional achievement and ethical standards. Cyndi can be reached at cdevers@airlaw.com.